Collon Snack in Cookies and Cream? Collon is among the few MAG’S MUST HAVE snacks stocked up at home! 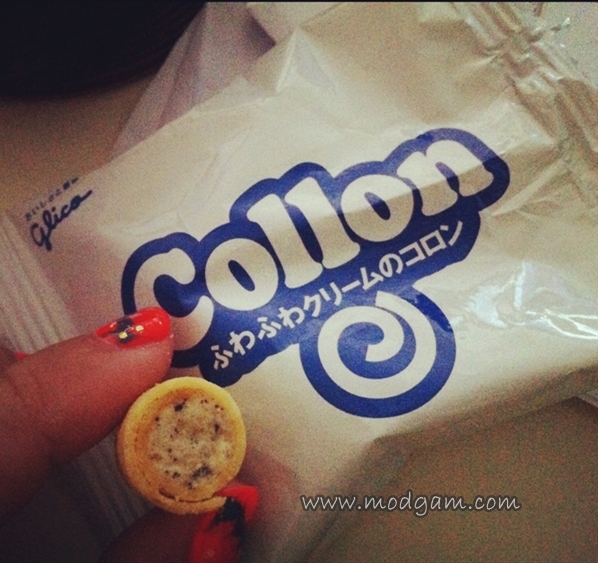 I shall reveal all the must have list one day but for now, here is Collon in a unique cookies and cream flavor!! You must be wondering what is so different about this biscuit that requires one post! 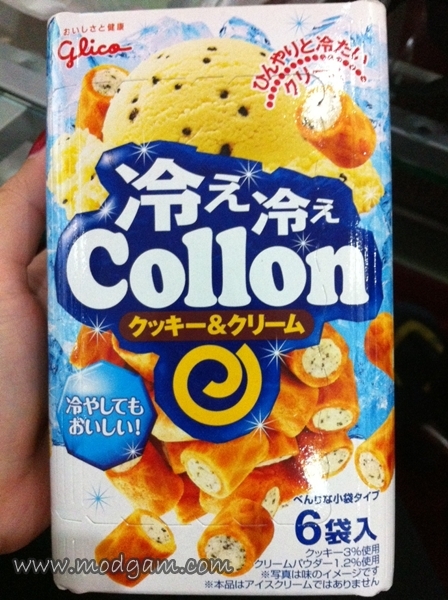 Collon’s common and standard flavor comes in chocolate, strawberry and vanilla but this, this is special! It taste as good as the packaging looks ! The nice and strong cookies and cream taste melts in your mouth! There are 6 packs in a box and cost S$5.20. We should bring in different unique flavors items to make life a lot more interesting. Be a little adventurous! If its not yummy, don’t buy it again and try another flavor. Look at Kit Kat! Friends who holidays in Japan will always bring with them unique Kit Kat flavors like soy sauce, watermelon and salt, peach, just to name a few… that you will never be able to find it here in Singapore.